The ‘population concerns’ in tribal district of Lahaul Spiti in Himachal Pradesh are purely different. The district, which has the toughest terrain in Himachal showed a negative decadal growth rate of population (-5.0 per cent) from 2001 to 2011. General population control measures and tradition of becoming a monk (with oath of celibacy) in Spiti valley apart-one of the main reasons for decreasing population in the area has been gradual migration out of the district over time, with tough conditions back home to blame. While a number of families from Lahaul have now built homes in adjoining Kullu district for comfortable stay outside in winter months, Spiti along Indo-Tibet border is consistently witnessing exodus by younger generation in search of greener pastures. “If not permanently, the tribals mostly move out for a comfortable stay outside in winter months, when Rohtang Pass shuts the doors for Lahaul valley due to heavy snow. Even otherwise, majority folks from Lahaul and Spiti have to go out for education and jobs to other parts of the country. They have namesake link with the native land,” said Shyam Lal from Keylong in Lahaul, who runs a hotel in Kullu district as well. Lahaul and Spiti valleys are connected by Kunzum Pass (15060 ft high). When there is snow on Kunzum Pass in winter months, the two valleys are separated from each other. Spiti is however approachable from Kinnaur side, but Lahaul valley remains cut off from rest of Himachal for atleast five months due to snow on Rohtang Pass (13,050 feet). The tribal district does not offer much in terms of quality life, education, employment, health and road connectivity. “I have spent my life in Spiti, facing all the hardships. I don’t want my children to face the same, and have sent them to Chandigarh for good education and quality life,” said Thubten, a shop keeper in Kaza. He said the successive state governments have not been able to update facilities in the tribal area beyond a point due to harsh weather, whether it is schools, colleges, health services or road connectivity. The living conditions in Lahaul Spiti are bad in routine and they go worse in winters. Forget about regular power, water, fresh vegetables or food stuff, it becomes an ordeal for locals at times of medical emergencies in winters, when they are stuck, virtually on mercy of God. 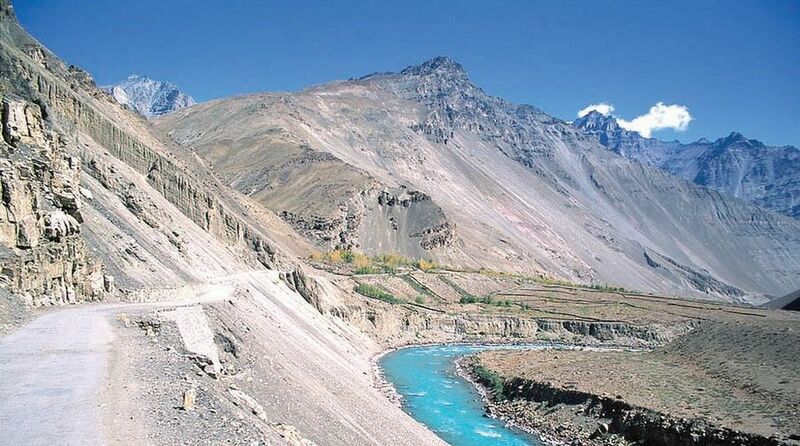 Economic adviser with Economics and Statistics department, Pradeep Chauhan, however said, the population growth figures in Lahaul Spiti may slightly improve in next census.